At MASCOT, you will find the MASCOT® FOOTWEAR MOVE collection that places particular focus on good comfort and excellent freedom of movement. All of the safety footwear in this collection is lightweight and equipped with an innovative midsole. This gives you excellent flexibility which will benefit you in all working situations. 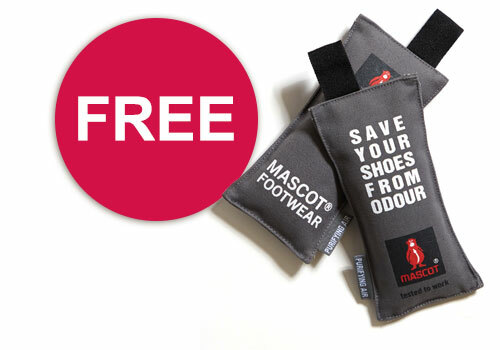 FREE footwear deodorizers with the purchase of any pair of MASCOT® FOOTWEAR from the new Spring* collection. *Spring footwear can be found in the MASCOT® FOOTWEAR MOVE, ENERGY, FIT and FLEX collections. The deodorizers remove odour and moisture in all types of footwear. The product consists of two bags with activated charcoal, which is environmentally friendly and made of 100% organic and chemical free materials. The MOVE collection’s signature is its unique midsole made from Phylon material. The Phylon midsole is made from EVA which is specially treated, this makes the safety footwear very lightweight and comfortable to wear. In addition, all of our safety footwear is also equipped with a removable shock-absorbing insole that protects your body, and particularly your legs and back, offering great support throughout the working day. MASCOT’s choice of sole gives you great flexibility and freedom of movement, and we feel sure that once you've tried out a pair of flexible shock-absorbing safety shoes from the MASCOT® FOOTWEAR MOVE collection, you will never want to wear something else! All models in the MOVE collection are equipped with an outer sole made from natural rubber which allows the safety footwear to withstand up to 300°C contact heat. In addition, our safety footwear also includes heel reinforcement and non-marking outer soles. 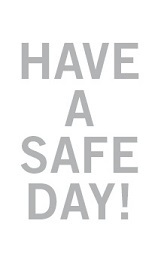 All MOVE products are ESD-approved and approved in accordance with EN ISO 20345: 2011, safety class S1P or S3. You will find safety footwear in the MOVE collection with both classic lace closure and with the Boa® Fit system. Several models are even available in a range of different widths, so users with narrow or wide feet are also sure to find the right fit.